Recently reunited as part of Sydney’s On the Street live series, the Lighthouse Keepers, featuring original band members Greg Appel, Juliet Ward, Stephen O’Neil and Michael ‘Blue’ Dalton promptly sold out their show the quickest of all OTS shows and left a smile on the dial of all that attended. Following that modest success, The Lighthouse Keepers have decided to crank up the engines once more and take the whole shebang out on the road again, heading down to Victoria for two performances at Melbourne’s Northcote Social Club and the Caravan Music Club in Oakleigh, before heading back up North for dates in Sydney and Canberra. 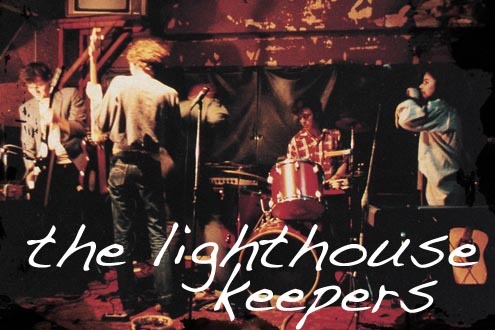 At all shows the Lighthouse Keepers will be performing two sets each night and with a guest speaker in support. Three sets later we walked out hot and sticky (but now mercifully not stinking of smoke), humming one of those Greg Appel melodies and feeling good about the world. It was just like the old days. Tickets $22.00 + bf (General Admission) or $27.00 + bf (Reserved Seating) from www.caravanmusic.com.au or phone 0411 569 180. Tickets $25.00 + bf from feelpresents.oztix.com.au, phone (03) 9486 1677 or in person at the Venue Box Office. Tickets $25 on the door. Tickets $25.00 on the door.